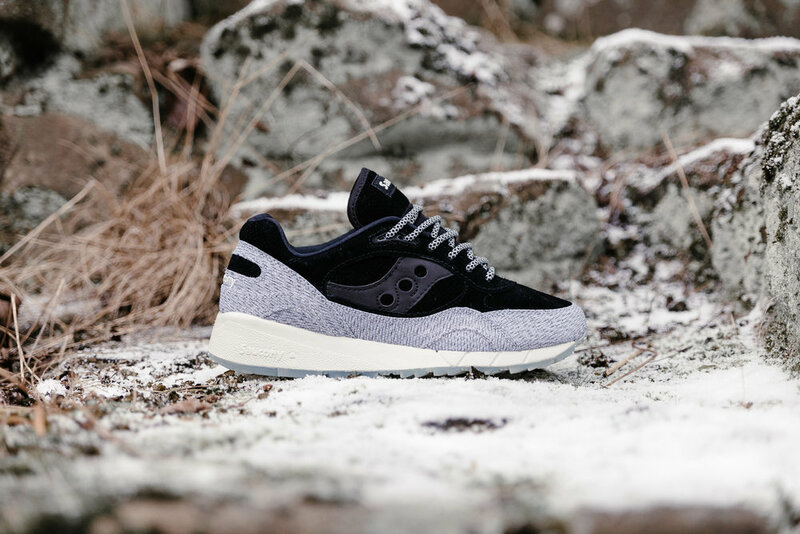 This week at Soleheaven, I had the privilege of photographing the latest sneaker pack release from Saucony dubbed "Dirty Snow". 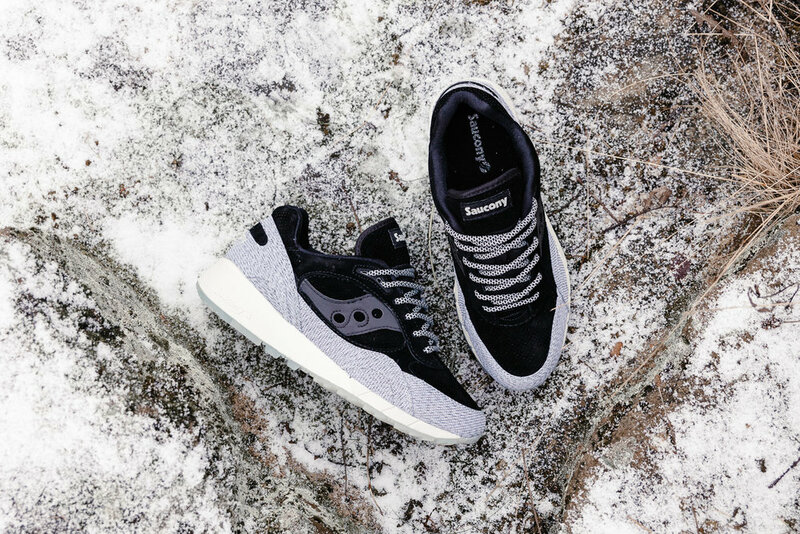 Influenced by icy blizzards the design features hard wearing white panels streaked with black fibers against plush suede and a translucent outsole. 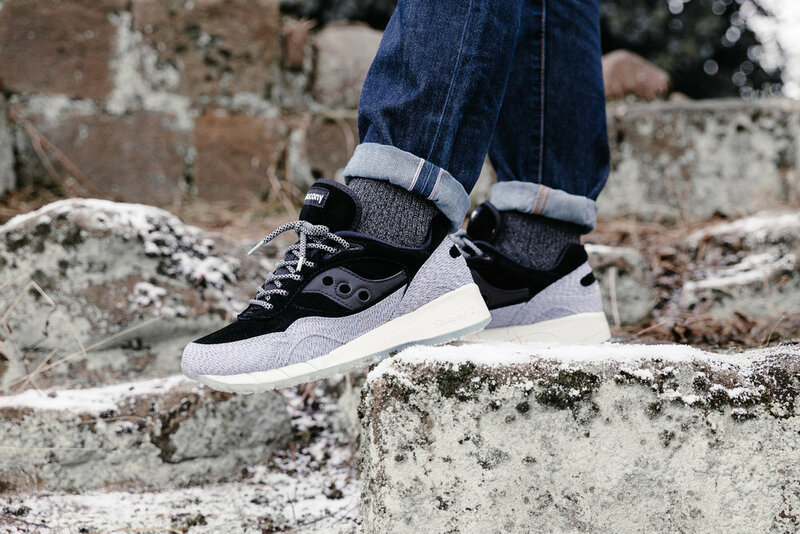 Saucony Shadow 6000 "Dirty Snow"
Saucony GRID 8000 "Dirty Snow"
To complement the winterised styling, I wanted to shoot them in a location that resembled a rocky outcrop on a snow capped mountain. Unsurprisingly, neither of those things can be found in Newcastle, plus we are currently experiencing a bout of really mild weather. Being in a city, finding a location that could pass as a mountain side left us with few options. In the end, I chose to shoot on a small section of the remains of the old city wall. Flanked by a pub with some of the Tyne's finest bridges behind it, it wasn't perfect but sometimes it's just a case of making do and being very careful with positioning and composition to make sure any unwanted elements are left out of the frame. With regards to the ice and snow, we ran through a few ideas including crushed ice, leftover scrapings from the local ice rink and a variety of artificial snow options. For the final selection, we went with Magic Snow; a non-toxic absorbent polymer that has a granular appearance until water is added. The result is incredibly realistic snow. It was also convenient enough for us to make it on location and provided the right visual effect I was after without the fear of it melting, or being too cold to handle. After sprinkling 'snow' over the scene, I took a few shots with Callum, the model. Here is an example of one of the images as it came out of the camera. A photo, as it came out the camera (before processing). It looks good but a touch on the underexposed side and too green for my taste. When I returned to the store, I put the photos onto the computer and edited the images to match the visual I had in my mind. Here are the final results, including the above image after post processing. 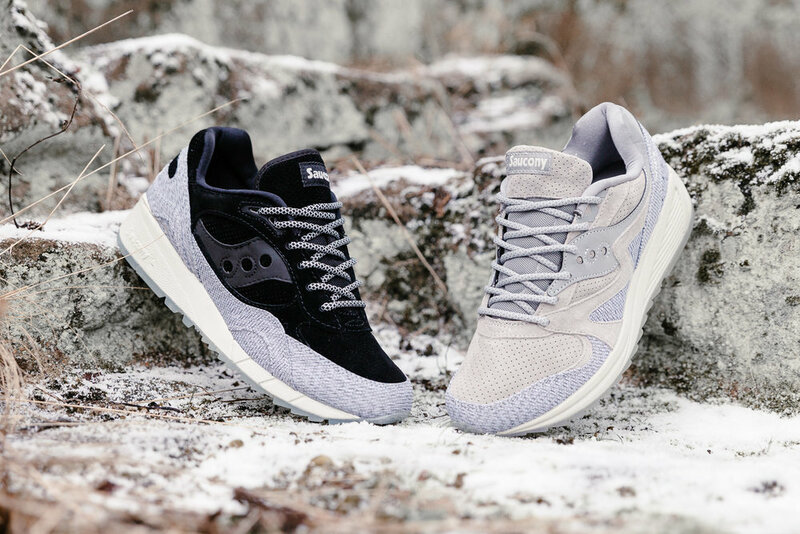 The Saucony "Dirty Snow" pack is available now at Soleheaven.